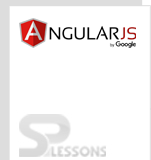 The chapter demonstrates the workflow of AngularJS application. 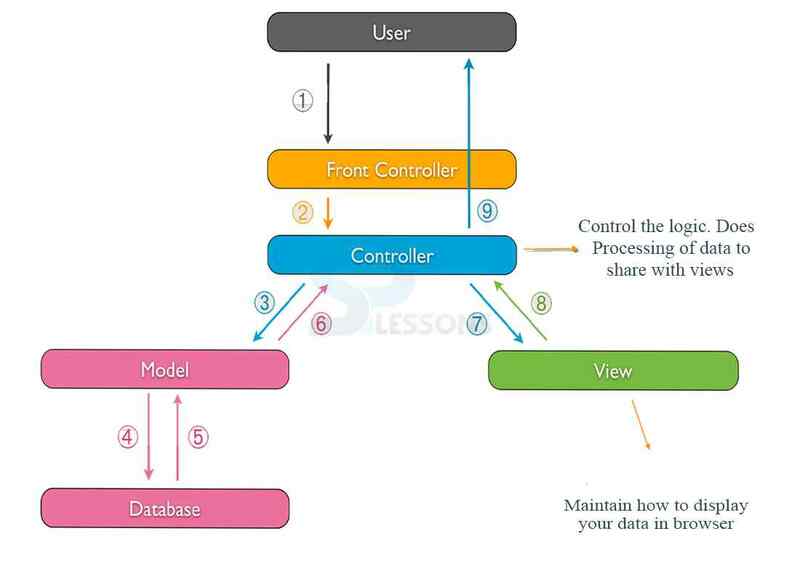 The following is the pictorial representation of the workflow mechanism of AngularJS application. 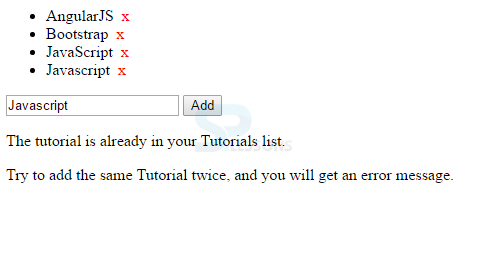 Start by making an application called SPTutorialsList, and add a controller named SPController to it. Controller adds an array named tutorials to the current $scope. The directive ng-repeat is used to display a list using the items in the array. Bind the application with the ng-model directive by adding a text-field. In the controller, create a function with name addTutorial, and use addsp input field value to add a tutorial to the tutorials array. 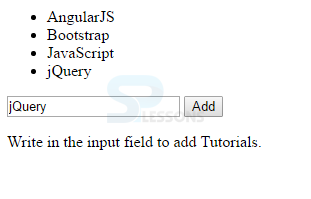 Add a button, and give it an ng-click directive that will run the addTutorial function when the button is clicked. Sometimes, removal of the existing tutorials might be required. In the controller, create a function called removeTutorial, which considers it as a parameter as the index of the tutorial is to be removed. In the HTML, make a element for each tutorial, and give them an ng-click directive which calls the removeTutorial function with the current $index. The above application throws some of the errors. Suppose, if a tutorial is added twice or empty tutorial name is given, it wont accept and doesn’t show anything on the view. To fix those bugs, it is better to check the value before adding any new tutorials. We will fix that by checking the value before adding new items. In the HTML, all the error messages are placed in a container and shown on the view if the user gives irrelated inputs and finally update the application with Bootstrap and CSS as required. After applying the design, the application looks like below. 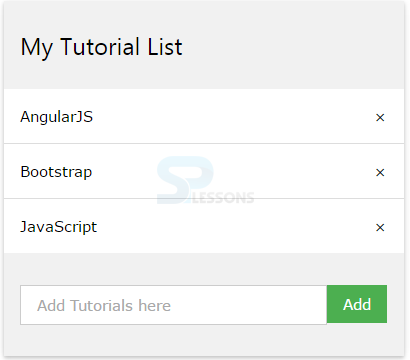 An application starts with ng-app directive of AngularJS and ends with adding design with CSS, and Bootstrap. Successful application results only when it handles the errors and secures the user-data.